Whenever I fly, I get a window seat. 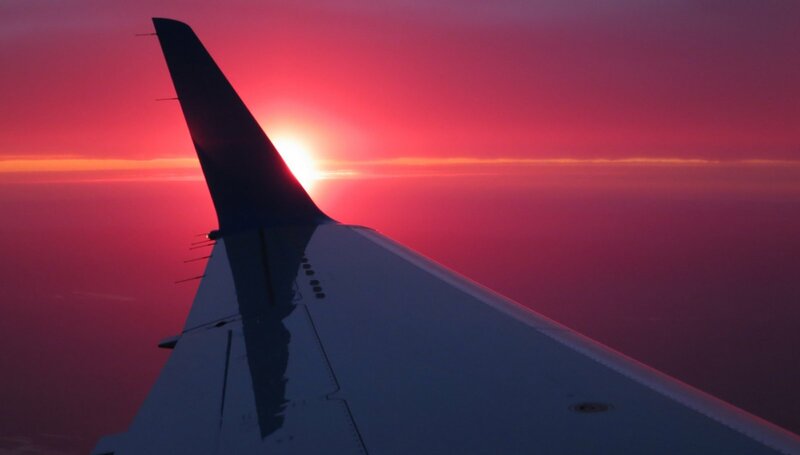 Sometimes, it’s over the wing.1 Regardless, there’s always a beautiful view. This time, it was a sunset peeking out from behind the winglet.